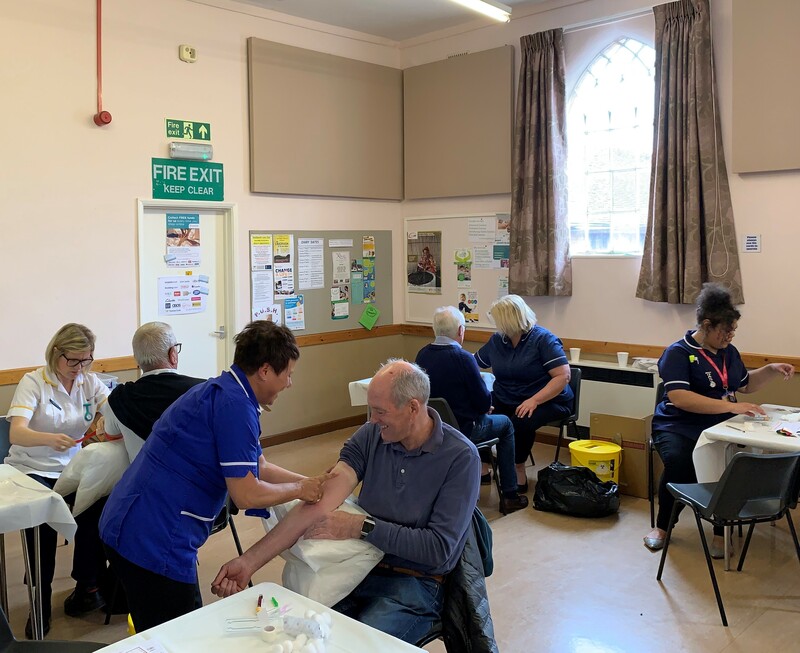 Last Saturday Kenilworth Lions, in conjunction with the Graham Fulford Charitable Trust, organised the first large-scale PSA testing event in Kenilworth, held at the United Reform Church in Abbey Hill. During the morning some 150 men aged 45 years or over were tested. PSA blood testing is currently the only diagnostic test available to detect prostate disease in its early stages. Prostate cancer is the most common cancer among men in the UK. The blood samples have been sent off for analysis, with the results being reported back to participants within three weeks. Statistically, some 10% of people tested get a result recommending follow-up with their GPs, although in about three quarters of cases the reason for a moderately raised PSA level may be due to causes other than cancer. On behalf of Kenilworth Lions Phil Inshaw said, “The attendance for our drop-in session was very satisfying and we thank all those who turned up and for their positive feedback. We would also thank the United Reformed Church for the use of their excellent facilities. We will certainly be considering whether to arrange further testing sessions in the future “.